The Minnesota National Guard has pioneered a program in hopes of changing how Soldiers and Airmen are reintegrated back to their communities. Called Beyond the Yellow Ribbon, the program is named as a reminder that the support of Soldiers cannot end when they return from deployment and the yellow ribbons are untied. A Yellow Ribbon Community unites all areas within a community to create a comprehensive network that involves our Family Assistance Centers and connects and coordinates agencies, organizations, resources and employers for the purpose of proactively supporting Service members and military families. In 2012, the Minnesota National Guard will continue to reach out to cities, towns, counties, companies and other organizations that strive to earn this designation. 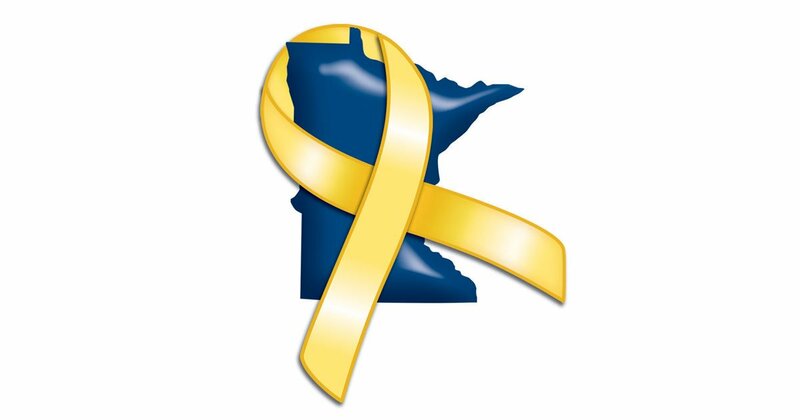 Yellow Ribbon Cities inducted in 2011: Albert Lea, Cottage Grove, Eagan, Grand Rapids, Hibbing / Chisholm, Inver Grove Heights, Lower St. Croix Valley (Afton, Lakeland, Lakeland Shores, Lake St. Croix Beach, St. Mary’s Point), Marshall, Owatonna and Winona Region (Goodview, Lewiston, Minnesota City, Rollingstone, St. Charles, Utica, Winona and Winona County), Pine City, Plymouth, Richfield and Rosemount. Community College, Metropolitan Council, Minneapolis Hiring Center and Thomson Reuters. Three Yellow Ribbon Counties and their cities were inducted in 2011: 1) Jackson County, which includes Alpha, Heron Lake, Jackson, Lakefield, Okabena and Wilder. 2) Martin County, which includes Ceylon, Dunnell, Fairmont, Granada, Northrop, Ormsby, Sherburn, Trimont, Truman and Welcome. 3) Watonwan County, which includes Butterfield, Darfur, La Salle, Lewisville, Madelia, Odin and St. James.